From scratch Gluten-Free Vegan Chocolate Cupcakes that are tender, chocolatey, and perfect in every way. 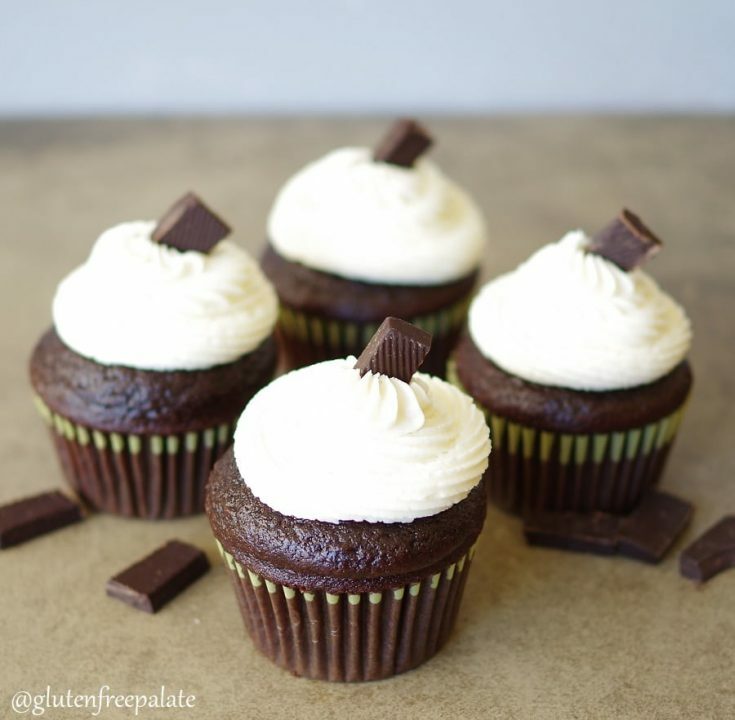 Originally posted in February of 2013, and recently given a photo refresh, these Gluten-Free Vegan Chocolate cupcakes are going to win you over! 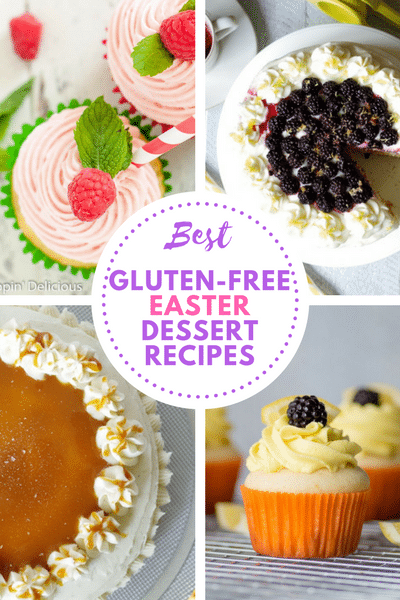 The Gluten-Free Vegan Cupcakes are from my cookbook, Sweet & Simple Gluten-Free Baking and have been a favorite in our house for years. 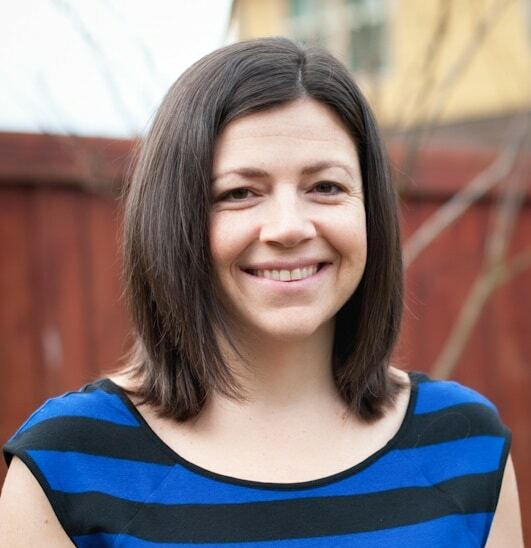 I added them to this website when my cookbook launched. The photo I originally added to the post didn’t do the cupcakes justice. 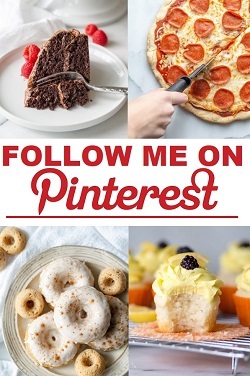 Recently I’ve been going through older recipes and refreshing the photos and content. Now that my photography is where I want it to be, I want ever recipe on my site to have a lovely photo – these Gluten-Free Vegan Cupcakes included. What do you want in a cupcake? You want that perfectly domed top, moist crumb, and an overall great mouth feel. And that’s what you deserve in a cupcake, regardless of whether or not it’s Gluten-Free. It can be hard to find that in a Gluten-Free Chocolate Cupcake, let alone a Vegan Gluten-Free cupcake. There are a couple of tips and tricks to getting the right texture with gluten-free cupcakes. First, you have to follow the recipe. So many people comment on recipe posts saying that they made a ton of substitutions and the recipe didn’t turn out. If you use substitutions, you are doing so at your own risk. Second, you want to mix at the right time and not over-mix. When you are beating the ingredients you’ll want to beat it for the time listed. This adds air which in turn helps the cupcakes rise. Beating any longer will cause the batter to stiffen. Both those tips are relevant to most cupcake recipes, not just these Gluten-Free Vegan Cupcakes. Preheat oven to 350°F (180°C). Position rack in center of oven. 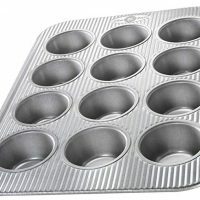 Line a 12 serving cupcake pan with papers; set aside. In a large mixing bowl, vigorously whisk together the flour, cocoa powder, sugar, baking soda, and salt until there are no visible clumps. In a separate medium bowl, mix together the coffee (or water plus coffee granules), vinegar, vanilla extract, and olive oil. Pour the wet ingredients into the dry ingredients and stir only until they just come together. The mixture should be thin and lumpy. Spoon batter evenly into cupcake pans, filing it about 2/3 full. Bake for 18 to 20 minutes, until a toothpick inserted in the center comes out clean. Remove from oven and let cool in the pan for 5 minutes, then remove from pan and let cool on a rack. Once the cupcakes are cool, frost each cupcake with your favorite frosting. These Gluten-Free Vegan Chocolate Cupcakes have a perfectly domed top, tender crumb, and amazing chocolate flavor, and I’ll tell you a little secret, they’re simple to make. Start to finish, you’ll have your teeth sinking into these light and fluffy gluten-free vegan cupcakes in less than an hour. Despite the short wait time from bowl to oven to mouth, they’ll taste so good that you’ll find yourself wondering if an hour is really all that it took. 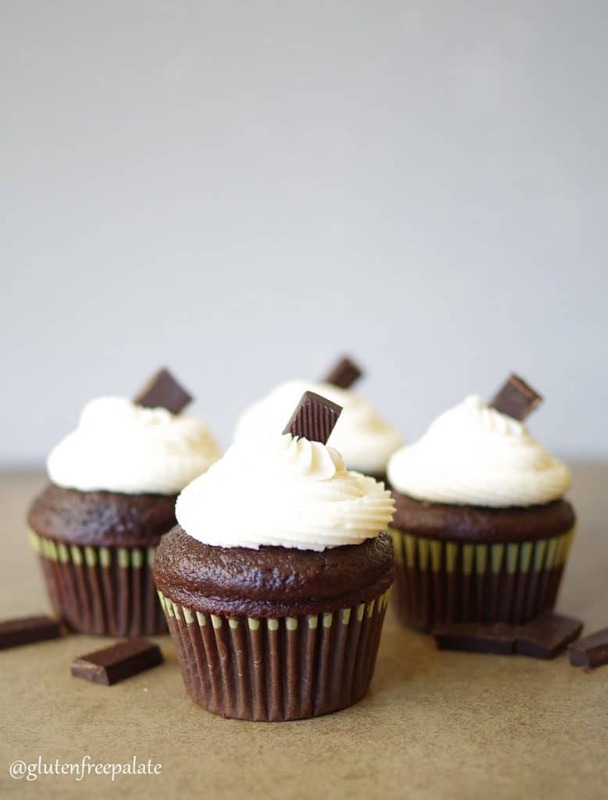 These cupcakes have a deep cocoa flavor mixed with an airy texture, a combo to die for, and they’ll be such a huge hit at your next party or event. If they even make it out of the kitchen. And hey, I won’t blame you if they don’t. 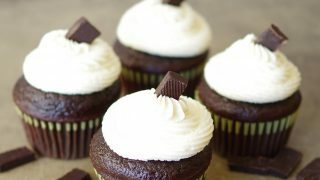 If you are looking for gluten-free cupcakes (non-vegan) you’ll love my gluten-free chocolate cupcakes. My favorite way to make dairy-free frosting is to use half dairy-free butter (I use earth balance butter sticks) and half palm shortening (which is coconut oil shortening). Let both come to room temperature, then cream them together before adding in the rest of the ingredients. If you like these cupcakes, you’ll love my Gluten-Free Vanilla Bean Cupcakes and my Gluten-Free White Peppermint Cupcakes. 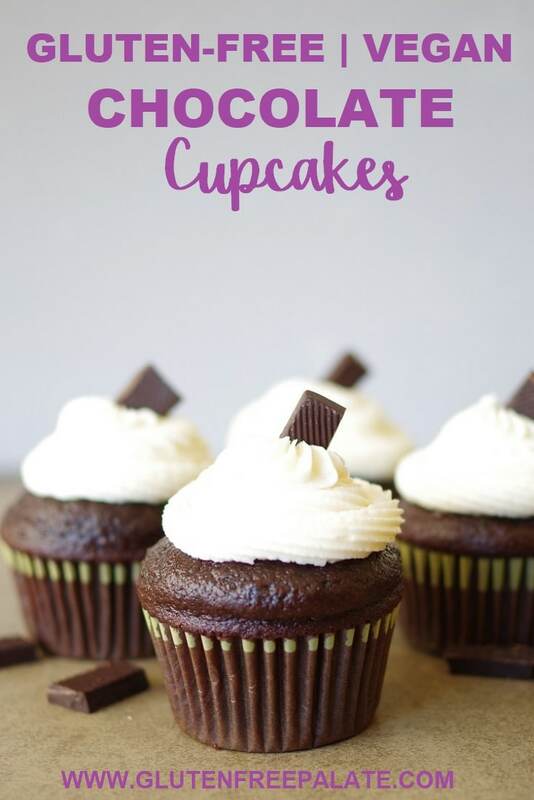 If you are looking for a chocolate frosting recipe to pair with these cupcakes, check out this smooth and creamy Vegan Chocolate Frosting. Did you make these cupcakes? Stop back by and let me know what you thought! Also, if you have a comment, please leave it below and I will get back to you. With only 8 ingredients for the cupcakes, you'll be sinking your teeth into these Gluten-Free Vegan Chocolate Cupcakes in no time. Remove from oven and let cool in the pan for 5 minutes, then remove from pan and let cool on a rack. 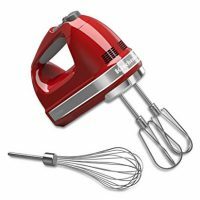 For the frosting: In a medium mixing bowl, beat together dairy-free butter, palm shortening vanilla extract until smooth and creamy. These look so good. I will try them soon. Always looking for a good tasting gluten free chocolate recipe. Thanks for sharing. Those seriously do have a perfectly domed top! These look like the perfect cupcakes! So delicious! 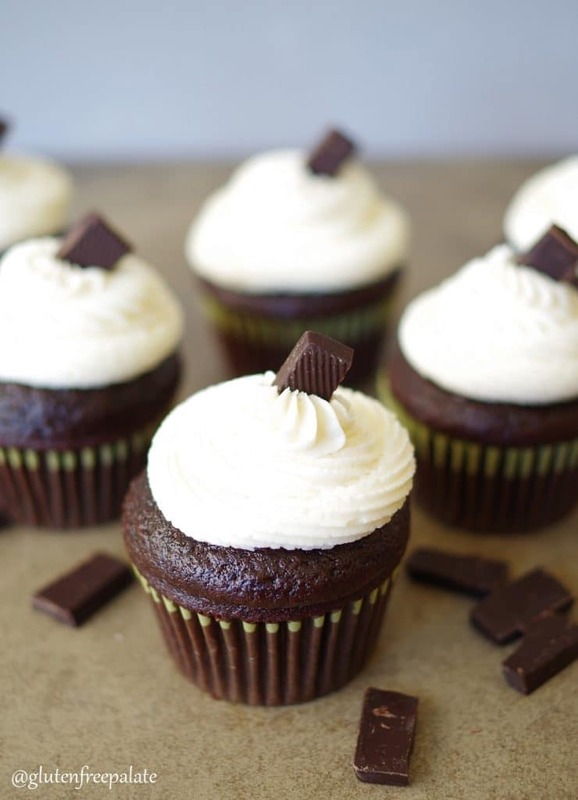 You make even the simplest cupcakes looks so bakery-worthy and enticing. I love that icing swirl. I can’t wait to make these. When you list 1 cup of brewed coffee you mean 1 measuring cup, correct? Not a teacup? Yes, one liquid measuring cup’s worth. This is the main liquid part that helps activate the cocoa and brings out the flavors in the cocoa. So chocolaty! These really would satisfy any craving for chocolate! I love this! I can have my coffee and chocolate together. This is a really delicious sounding cupcake! No self rising gluten-free flour works best in this recipe. This recipe looks easy. Can I make these cakes the day before serving? I’ve heard gluten free baked goods are best eaten on tbe day they are made. Yes. You can make these the day before. The frosting will help keep it moist. Hello, can I replace the coffee with something else? Thanks! You can use hot water in place of the coffee. Can these be frozen before they are iced? Yes, they can be frozen. Just bring them to room temperature before serving. I just made these and they look great but the olive oil flavor is really strong. Wondering if maybe a vegetable oil or vegan butter might be a better flavor. Not all olive oils are equal, some are stronger then others. You can definitely use a vegetable oil in this recipe. I never expected much from gluten free baked goods, but I have some gluten sensitive co-workers and wanted to make treats everyone could enjoy. This recipe is fantastic! I tasted the batter and was not optimistic, but after baking… world of difference!! I didn’t taste the olive oil at all. Used hot water instead of coffee, but threw in some vegan chocolate chips for extra yum, and they were heavenly. Way better texture than I had even dared to hope. The gf flour blend I used was mostly tapioca starch and potato starch, so no grittiness. I couldn’t believe how fast they disappeared! Thanks for providing a great recipe, my first gluten free baking experience was a win. I’m so glad you like them! Thank you for stopping back by and letting me know. I am wondering if this recipe will work for me. It looks delicious! I am in need of a recipe that is gluten, dairy, nut, and casein free. This recipe is gluten-free, nut-free, and dairy-free. You can use your dairy-free butter of choice in the frosting. I hope that helps! Can you use coconut oil ? You can use melted and cooled coconut oil in this recipe. I have Bob’s Redmill Gluten Free All Purpose Baking Flour. 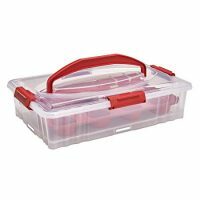 Can this be used in place of the 1 to 1 flour? Yes, you can use Bob’s 1 to 1 in this recipe. Yes, you can use white vinegar or apple cider vinegar in this recipe. The taste may be slightly different. Yum! I made these in the form of mini-cupcakes, and the cupcakes themselves were really really good (I used apple cider vinegar instead of white bc that’s what I had, and I also threw in a vegan+gluten free chocolate bar chopped up rly finely). So fluffy and chocolatey. I live in England, where Bob’s Red Mill isn’t easily available, so I just used a different gluten free self rising flour, which I think made it a little grainier than optimal, but they still tasted insanely good – even better the next day after a night in the fridge! I was not, however, a big fan of the icing. It was just really really too sweet, and not much flavor other than overpowering sugariness. 10/10 will make the cupcakes again, for sure, but might find a different icing recipe to go with them. I am so glad you like them. Sorry to hear the frosting wasn’t for you, but I am glad you liked the cupcakes.